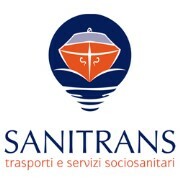 Venice without barriers, Venice accessible to every persone with disabilities, this is Sanitrans' goal. Today tourists with disabilities con access a full service: reception, tour guide, transportation, assistance, advice, to enjoy with safety and peace of mind their stay in an unique city such as Venice. Means of transport used by Sanitrans have been designed and built to drive anyone who has mobility disability. Our staff has excellent qualifications and training that, coupled with the distinguishing Venetian wit, will malke you feel at home. The sounds of the Lagoon will be with you, it will enhance the enchanted atmosphere that you can breathe in this city that rises upo on water ... and from the water you can glimpse the best spots, unearth secrets and curiosities, taste the antiquity adn mistery that surrounds it.